The 20th Vietnam Film Festival 2017, themed ‘Building a modern and humane cinematic industry’ will take place in Da Nang city from November 24 to 28 of the same month. The information was released by the Vietnam Cinema Department under the Ministry of Culture, Sports and Tourism at a press conference in Hanoi on August 15. A series of activities will be held during the five-day event, including free outdoor screenings of films, seminars on the ASEAN film industry and afterwards seminars on the development of the Vietnamese movie sector. An exhibition on Vietnamese cinema and exchanges between actors, directors, producers and audiences will also be included. In addition, there will be the acceptance of re-make films which will be featured in this year's film festival. Among them, the ASEAN Film Award will introduce the best movies in the region to the world and strenghten the role of the cinema industry in supporting the culture and friendship among nations of the ASEAN community. The 20th Vietnam Film Festival will feature the participation of 800 delegates, who will all be artist, managers, producers from Vietnam and 50 other international delegates. 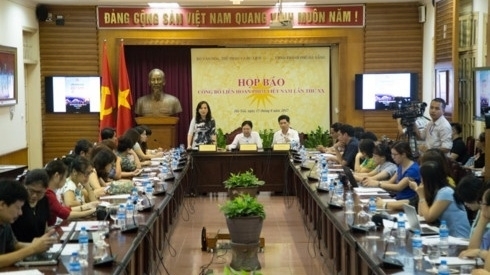 Under the agenda of the festival, Vietnam film weeks will be held in Hanoi, Ho Chi Minh City and Da Nang. The film festival aims to honor local cinematographic works featuring traditional characteristics of creativity; and pay tribute to movie makers and artists who have made outstanding contributions to the national movie industry.